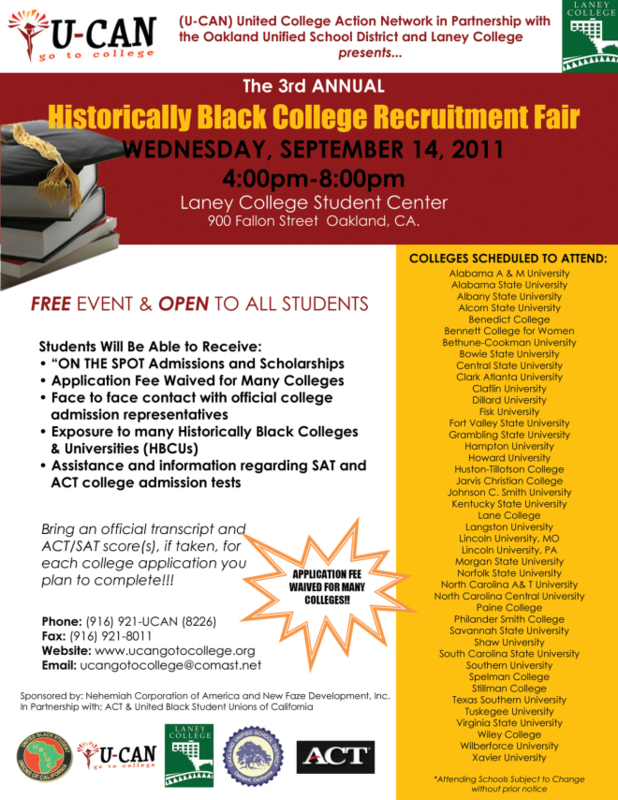 The 2011-12 Historically Black Colleges and Universities (HBCU) Recruitment Fair is a collaborative partnership between Laney College, Oakland Unified School District, and U-Can. Last year, the HBCU Recruitment Fair drew in over 2,500 people. This is a great opportunity to expose and potentially stimulate our students thinking about their options.